A new Minnesota Public Radio - St. Paul Pioneer Press poll says a majority of Minnesotans are opposed to legalizing gay marriage. But the poll also shows Minnesotans are split on whether they want to amend the constitution to ban gay marriage. The issue of gay marriage will be a hot-button issue at the Legislature this session after the Massachusetts Supreme Court ruled last year that gays have a right to marry. The same court said on Wednesday that civil unions fall short of granting gay couples their rights under the Massachusetts constitution. St. Paul, Minn. — In results consistent with national polls, the MPR - Pioneer Press poll shows more than six in 10 registered Minnesota voters say they oppose legalizing gay marriage. But when asked whether the state constitution should be amended to permanently ban gay marriages, the results shift. Forty-nine percent oppose a constitutional amendment; forty-three percent are in favor. "Gay marriage would be a nightmare for insurance companies, for work, because where does it end?" asked Patty Wahlroos, one of the poll respondents. She's a stay-at-home mom from Elk River. "In the other respect I was raised Catholic. To be honest, I don't think it's the right thing to do." White Wahlroos supports amending the constitution to ban gay marriage, poll respondent Andrew McGlasson of Eden Prairie doesn't. McGlasson says he's undecided on the issue of legalizing gay marriage, but he says Minnesota already has a law that bans gay marriage so adding a constitutional amendment would be overkill. "Now we have to pass another law to make sure that what's currently not legal stays not legal? That seems a little silly to me. That seems to me more of a function of legislative and political things at work than trying to accomplish objectives," he said. McGlasson says he also supports the concept of civil unions for gay couples. Civil unions would provide gay couples the same legal rights as married couples, such as the right to make medical decisions for each other and to share health insurance benefits. Forty-four percent of those polled support legalizing civil unions. Forty-seven percent oppose it and 9 percent are undecided. At the Capitol, those opposed to gay marriage and civil unions say they want to keep marriage between a man and a woman. 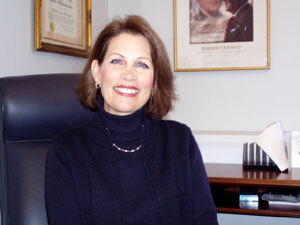 Sen. Michele Bachmann, R-Stillwater, is sponsoring a constitutional amendment to ban gay marriage. Bachmann says voters, not the courts, should be the ones to decide the definition of marriage. "This is a huge matter because to most people, marriage means something. And if we redefine marriages other than one man and one woman our society will look very different from the society that we've grown up in," according to Bachmann. If both the House and Senate approve the proposed constitutional amendment, it will be on the ballot in November. If a majority of people voting in the election approve the amendment, it becomes the law of the state. Sen. Scott Dibble, DFL-Minneapolis, is the only openly gay member of the Senate. He says he's encouraged the poll shows a majority opposes a constitutional amendment. "That really reflects my main concern and that is 'What is the basic purpose of our constitution?' And to use our constitution for the first time ever for discriminatory purpose to stop this conversation dead in its tracks right now is inappropriate," he said. While House Republicans are confident there is enough support in the House to pass the amendment, Dibble says right now the Senate would defeat it. Dibble says he believes that conservatives are pushing the constitutional amendment because it would encourage conservatives to go to the polls to support President Bush. The MPR-Pioneer press poll of 625 registered voters has a margin for error of plus or minus four percentage points.